One of the things many newly minted “Dallasites” have trouble with when they first arrive is figuring out the best way to get from point A to point B. Without question, Dallas is big enough to be incredibly intimidating – especially when it comes to the many highways and bi-ways in and around town. The good news is with the right inside information you don’t have to sweat it. That being said, here’s everything Dallas New in Town thinks you need to know about getting around in Dallas. There is certainly no shortage of routes to get you where you need to be via car, but as you’ve probably already figured out, doing so will likely involve a decent amount of traffic – especially during rush hour. Of course, sitting in your air conditioned vehicle may still be a welcome alternative to standing outside on a sweltering hot day waiting for the bus, so weigh your options. There’s also the infamous High Five. If you haven’t discovered it already, this five-level interchange is pretty unique. In fact, it was actually named one of the “World’s Strangest Roadways” by Popular Mechanics. When you drive it, you’ll understand why (hint: it’s as high as a 12 story building). If you’re going to be using your car to get around Dallas, be prepared to spend time in traffic and load up your GPS because you’re probably going to need it (at least for a while). There’s also the important topic of parking, which is a relative scarcity in and around Dallas, especially downtown. It can be expensive, but if you do your homework and shop around, you can get the best deal. Check out this parking finder that will find and compare options for you. The next option for getting around Dallas is public transportation. Thankfully there are plenty of choices and available routes, though it can take some getting used to at first. We’ll start with the Dallas Area Rapid Transit, or as the locals affectionately refer to it – the DART. This expansive transit system includes bus, light rail, Trinity Railway Express commuter rail and paratransit services – in some cases, a combination of all of these, depending on your destination. The DART network will bring you all around Dallas as well as to and from 12 surrounding cities, covering a 700-square-mile service area. Tickets are pretty affordable and offer a variety of fare options to suit your particular needs. A two-hour pass will run you about $2.50 for local service while day passes start at $5.00. There are also weekly and monthly passes available for those with longer-term travel needs. We’re not going to lie. The schedule and routes can be pretty dang confusing – something that will take time to master. If you’re planning a one-off visit to, say, attend an event downtown, you can use the DARTs handy trip planner which will hopefully make things a little easier. One particularly cool feature to make note of is the DART On-Call service, through which a bus will pick you up at your home or apartment and bring you to your desired destination, as long as it’s within the specified eight zones. Fare for this is just $2.50 each way – not too shabby! Reservations are required at least one hour in advance. For getting around the downtown and Uptown areas, the McKinney Avenue Trolley is another great option – especially since it’s completely free. This service – also called the M-Line – runs along McKinney Ave from Uptown’s Allen Street to downtown’s Ross Ave and St. Paul Ave., right next to the Dallas Museum of Art – basically from the Dallas Arts District to the West Village. These vintage trolleys operate year-round, 7 days a week (here’s a quick link to the schedule). The M-Line is a great way to quickly get from one local destination to another, for an afternoon of sightseeing or hopping between the many area bars, restaurants or shops (pub crawl, anyone?). If you don’t own or want to drive your own vehicle, but public transportation isn’t your thing, ride sharing is another great option to get you where you need to go. For instance, Uber offers reliable transportation with a variety of price-point options, from low cost to premium. All you have to do is download the app, create an account and schedule a ride. Payment is also made through the app, providing for the convenience and safety of a cashless transaction. Operating pretty much identically to Uber, Lyft is another ride sharing service available in the Dallas-Fort Worth area. There are a couple different options to choose from, including smaller vehicles for solo riders up to four passengers or Lyft Plus – a “supersized ride” for when you need more space or have more people in your party. Both services offer discounts for first-time riders, so if you haven’t used either before, don’t forget to take advantage of this option. Last, but not least, if you don’t have too far to go, most of the neighborhoods in the Dallas metroplex are super easy to navigate on foot (or bike, if you prefer). For instance, Uptown is laid out in such a fashion that it seems ideal for pedestrians, as are the Design and Bishop Arts Districts. In fact, downtown, Oak Lawn and Knox-Henderson all got the nod as among the 10 most walkable neighborhoods, not just in Dallas, but in all of Texas. Beyond the main streets, there are also plenty of off-road options for getting around on foot, bike or even in-line skates. The Katy Trail, for instance, offers nearly 4 glorious miles of paths that run from the West End in the south to the Southern Methodist University campus in the north, through some of Dallas’ most densely populated areas. Get around with ease and take in some of the magnificent Texas nature while you’re at it. You won’t be disappointed. 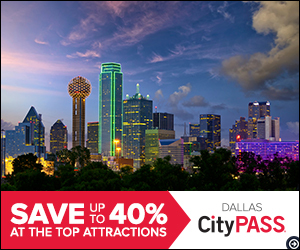 Getting around Dallas can seem overwhelming, but thankfully, with the right information, it doesn’t have to be. Just keep the above in mind (bookmark it, print it out – whatever you prefer) and before you know it, you’ll be an old pro at finding your way around the Big D. See ya ‘round!